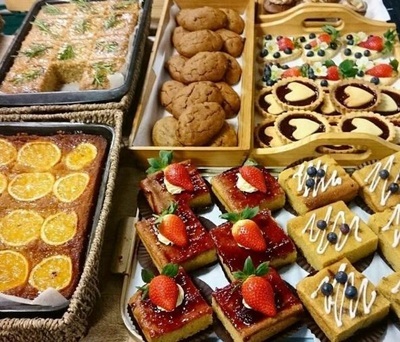 There are a number of cafes & restaurants in London where you can buy delicious vegan cakes eg Ms Cupcake, Vx, Cafe Forty One, (see the Where To Eat section). 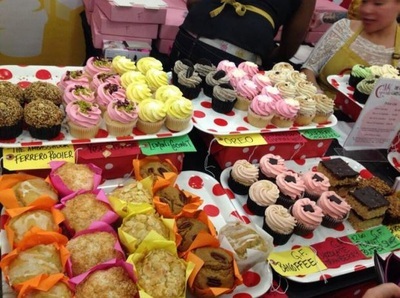 There are also a number of market stalls selling vegan cakes (see below). 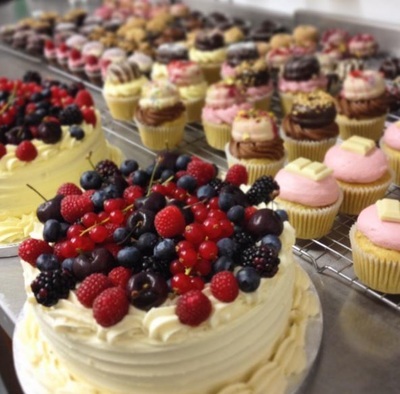 Famous for her vegan cupcakes but other cakes are available and can be made to order. - Raw cakes: Stall located in Brick Lane's Sunday Up Market + cakes to order online. ​Some of the above will also deliver should you need a cake. We are informed that delivery charges will apply as follows: MsCupcake £20 for London delivery, Ruby's of London £16-£30; Organic Livity £10. Manna Cakes - Wide range of organic, vegan cakes, cup cakes, brownies, flapjacks.